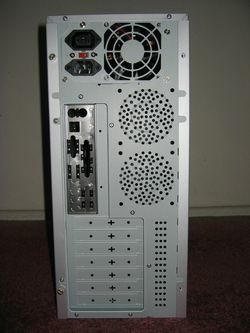 Just because the case does not have a window for modding doesn�t mean that the case is going to be some plain ugly looking case. On the contrary, the case is quite attractive. The case is painted silver on the exterior with a small black bezel on the front of the case. 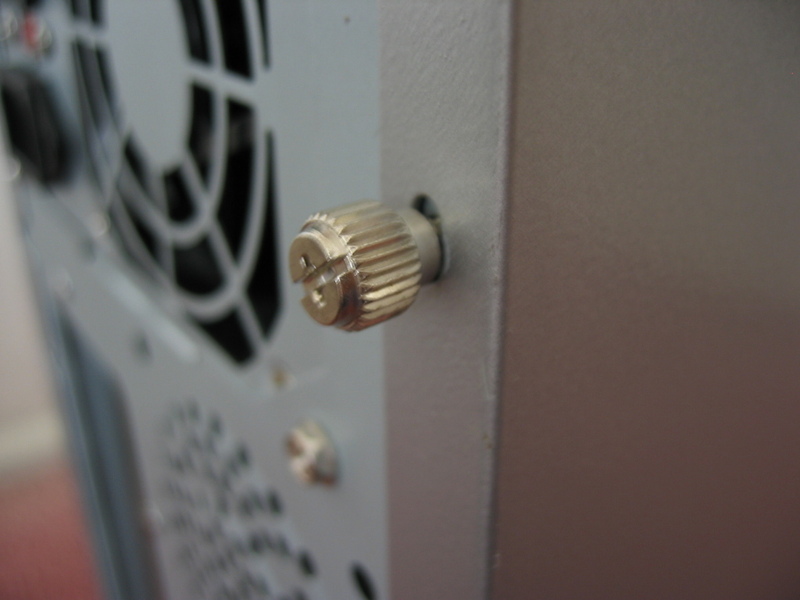 The drive bay covers are silver, which really wasn�t a turn on for me since for the users who use white optical drives might not like it due to the color mismatch. 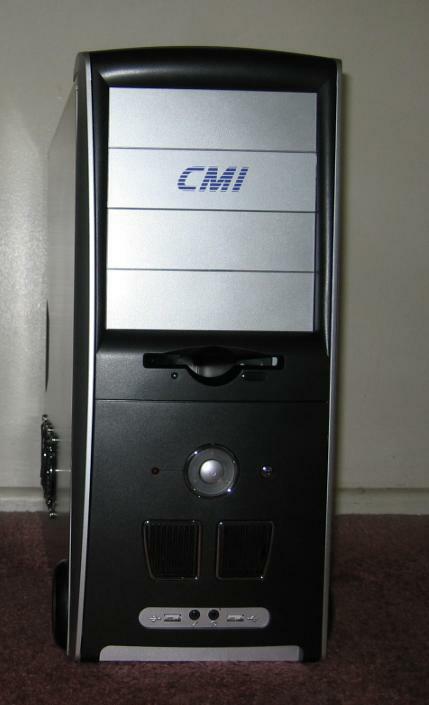 However, for users with black optical drives, it does look very sweet in this case. On the back, there are your 7 standard expansion slots. 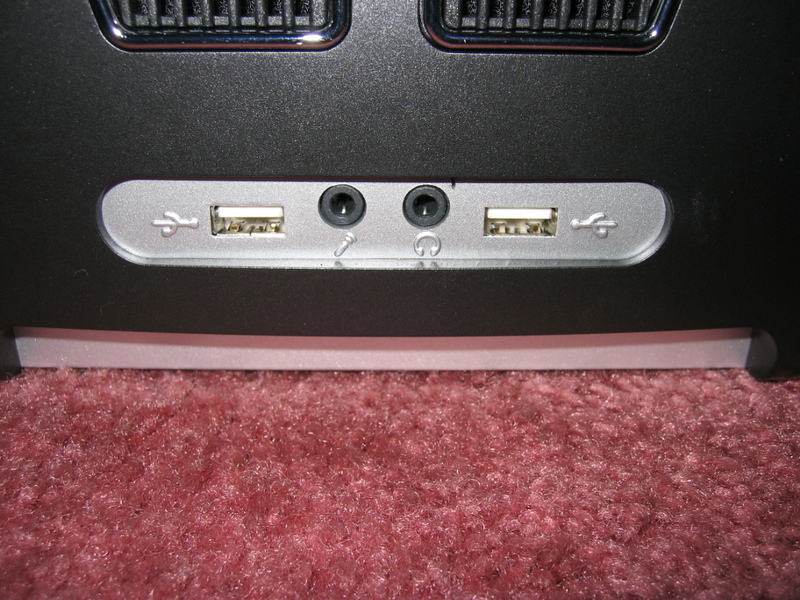 On top of that, there are two 80mm exhaust fan outlets, which was a real plus since this will give users the ability to exhaust more hot air out of the case faster than opposed to having only 1 exhaust fan. 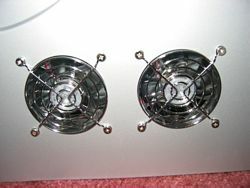 Being an owner of a case with only 1 rear exhaust fan outlet, I know that having 2 exhaust fans can lead to about 5 degrees Celsius less ambient temperature. 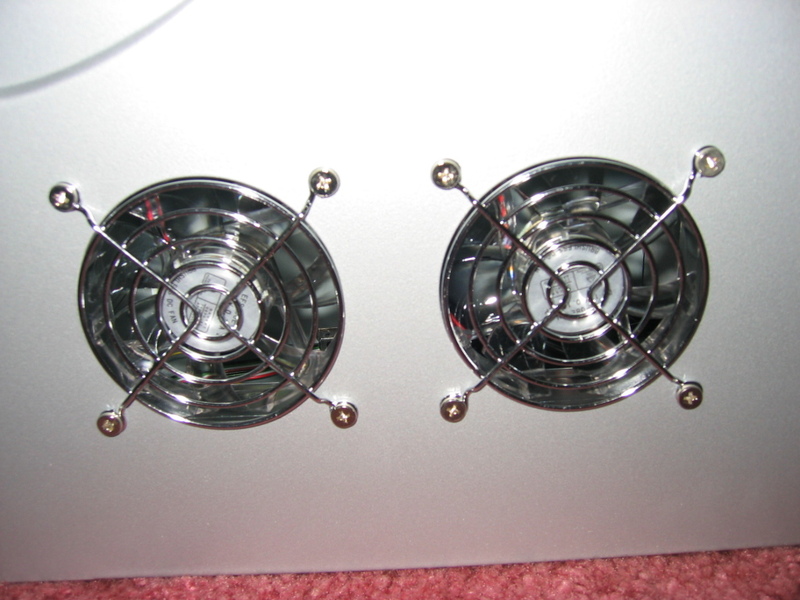 However, the fan outlet design kind of constricts air flow but nonetheless is made up by the fact that there are 2 outlets, so this shouldn�t be a problem. 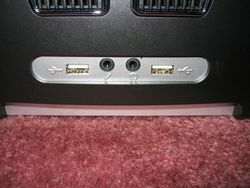 There�s also that I/O shield plate that you put your motherboard I/O ports through (such as your mouse port, keyboard port, USB ports, etc). 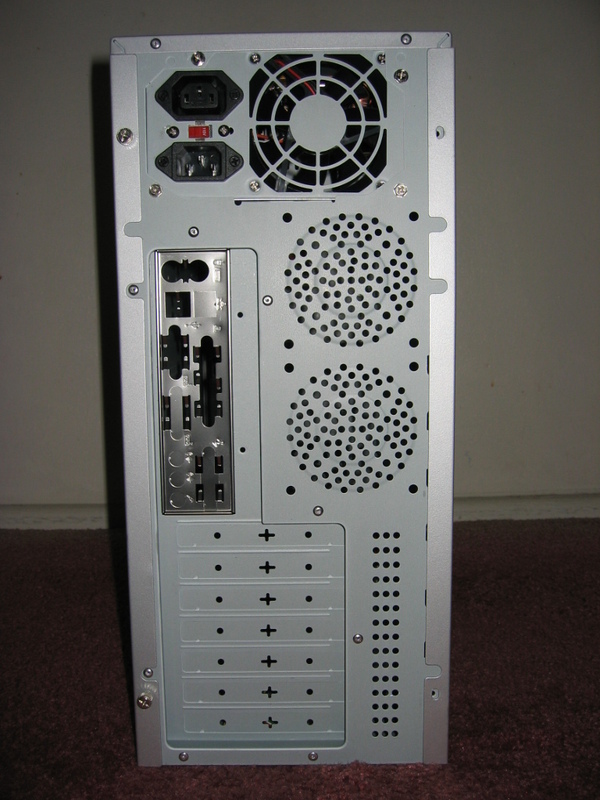 Well that�s it for the exterior of the case.